Happy Thursday! Today is my day over at SVG Cutting Files and I have a new file to share with you! How CUTE is this Ginger Christmas Peeker?! Holds the perfect gift card for your friend or family member. From Jaded Blossom I used "Oh Christmas Tree" for the sentiment. 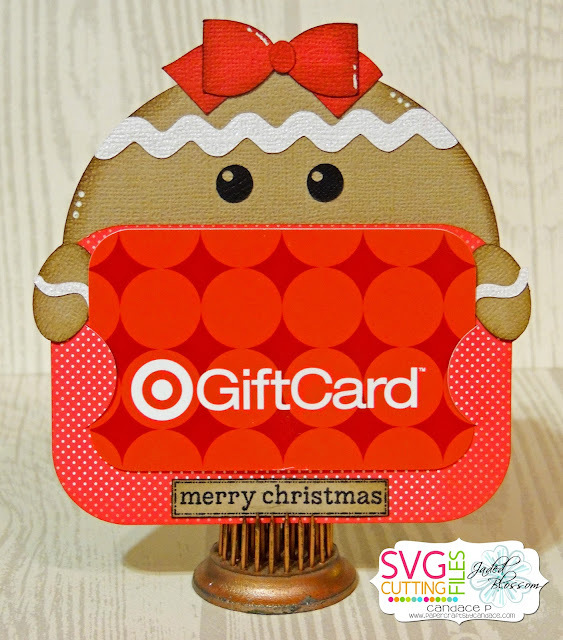 Super cute gift card holder!! !